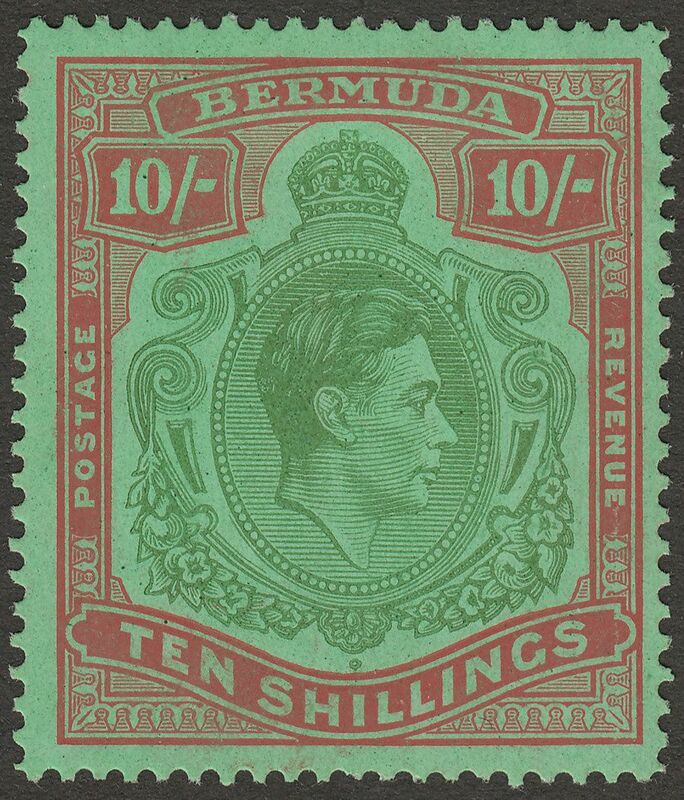 King George VI 10sh yellow green and carmine on green chalky paper line perforation 14¼ mint. The third printing. 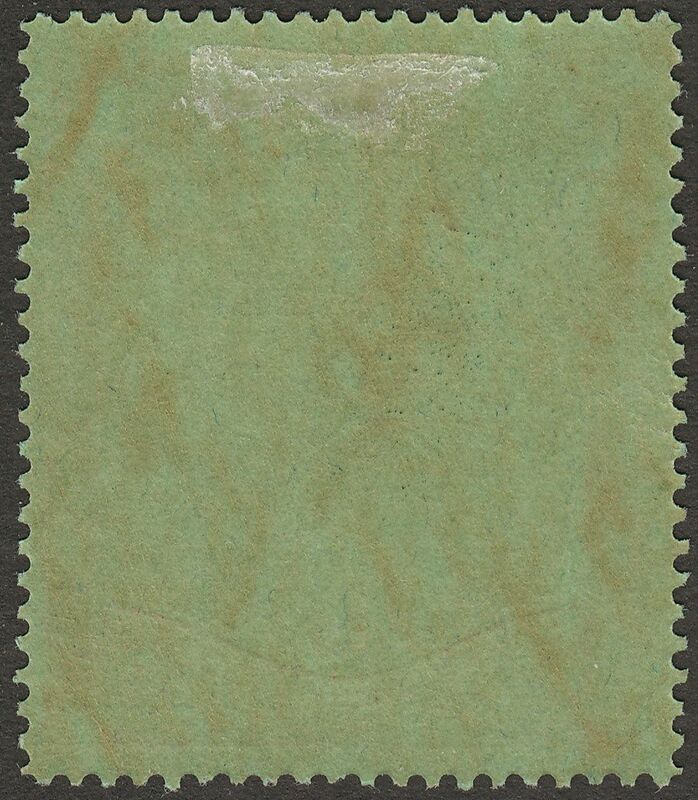 With variety Broken Lower Right Scroll (position 5/12). Light gum toning for these. 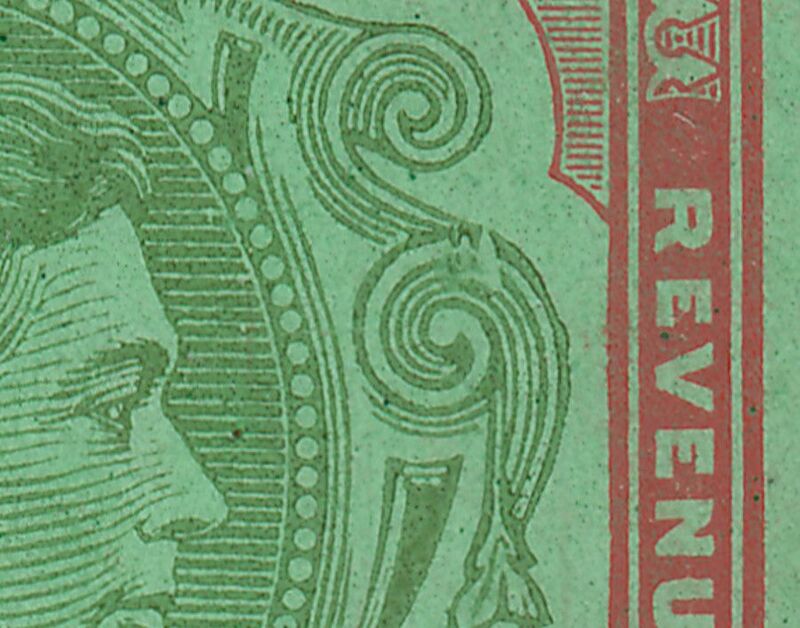 Lightly mounted mint with small part hinge remnant.